Often, when you’ve been in a car accident, an insurance company will contact you and offer to work directly with you to settle your claim. They may make it sound like this is to your advantage, as though it will help you to settle your case more quickly and save you money on attorney’s fees. In fact, the insurance company may try to get you to make statements that will damage your case so that they don’t have to pay you at all! 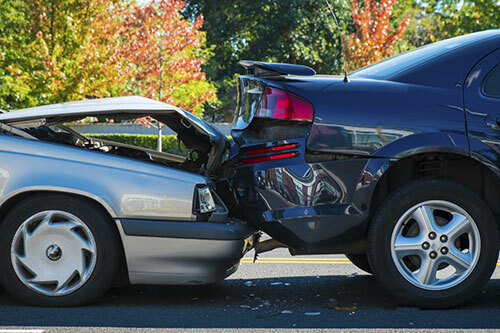 If you’ve been injured in a car accident, talk to one of our car accident lawyers at 1-800-777-2586. Car accident cases can be more complicated than you might imagine, requiring technical evidence, expert witnesses and very specific legal knowledge. Statutes of limitations may limit your ability to file a claim if you don’t act quickly. Most importantly, talking to the insurance company before you’ve talked with an attorney can harm or even destroy your case. Often, when you’ve been in a car accident, an insurance company will contact you and offer to work with you directly to settle your claim. The insurance company may make it sound like this is to your advantage – like it will help you to settle your case more quickly, and you’ll save money on attorney’s fees – but this is false. In fact, the insurance company may try to get you to make statements that will damage your case so that they don’t have to pay you at all. The insurance company may claim that they want to work out a settlement with you in order to draw you into a conversation they can later use against you. Even when they do offer a quick settlement, it’s because they want to get a commitment from you quickly, before you learn your rights. Once you’ve entered into an agreement, you will be barred from seeking additional compensation if you later find out that your case was worth more than they paid, even if your injuries were more extensive or required more medical care than you expected. Don’t jeopardize your case! Call Blum & Associates at 1-800-777-2586. An experienced car accident attorney can help you protect your rights and get fair compensation for your injuries and loses. Members of your family may, in some cases, be entitled to recover for some of their losses based on your injury. In certain cases, you may even be entitled to punitive damages. Car accident litigation can be complex and time consuming, but an experienced car accident attorney will be able to gather the evidence necessary to argue your case. Usually, car accident cases are settled without a trial. Once your attorney has gathered sufficient information to prove that you were injured, that the other party was at fault and that you sustained damages, the insurance company will often realize that a trial would only result in unnecessary expense. At that point, your lawyer can negotiate to make sure you receive a settlement that fairly compensates you. If an acceptable settlement isn’t offered, your case may go to trial. At the trial, your attorney will present evidence to prove that you were injured and that the other party was at fault, and to demonstrate the damages you should be compensated for.